Sometimes our nutritional goals seem like daunting and arduous tasks. It doesn’t matter if our goal is to “bulk” up or to cut some body fat and slim down, things at times can get a little monotonous. Often times when changing our nutritional plan we don’t have a wide variety of foods to choose from. This can be especially true when it comes to protein sources. Let’s face it egg whites, protein powders, chicken breast, and a few servings of the aquatic kind will only go so far after a few weeks or months. Today we are going to get wild with some “game” protein sources. These are healthy protein sources that you probably never though about that can be implemented in a diet. So without further ado here are five protein sources that can give you a little more taste than just egg whites and chicken breast. Here is one that comes right off the range! Here is a protein source that is very lean and offers tons of health benefits. 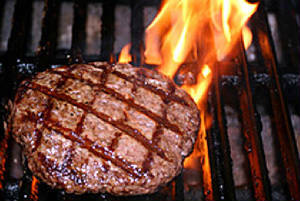 If you have a craving for a burger but want to avoid some of the fat and cholesterol reach for a bison burger. Bison is so good it is often called the “healthier” red meat. One 3.5 ounce bison burger contains a “fat friendly” 179 calories per serving. While bison does contain 9 grams of fat per 3.5 ounce serving only 3 grams of that is saturated. Bison are grass fed animals so they will have a higher concentration of good fats such as omega-3 fatty acids and CLA per serving. Bison is also packed with a high concentration of B vitamins per serving. Mineral wise, because Bison are grass fed, a person will receive a bunch. Bison offers almost 50% of a daily requirement of selenium, almost 40% of a daily requirement of zinc, and a high amount of hemi- iron. 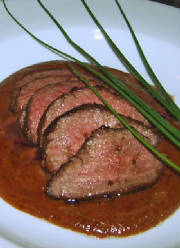 Ostrich meat is another exotic meat that can be very versatile. Ostrich comes in everything from steaks, jerkys, and burgers. Ostrich burgers fall into a similar category as bison when it comes to nutrition. Per 3.5 ounces you get 26 grams of protein, 0 carbs, and 7 grams of fat. 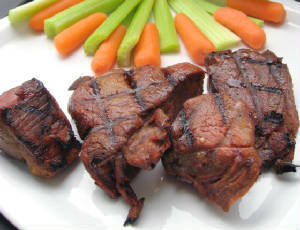 Ostrich also offers a good amount of healthy fats. Vitamin wise you will be packed with B vitamins, especially B12. A person can get almost 96% of their recommended daily amount of B12 with a 3.5 ounce serving. When it comes to minerals look for almost 50% of the daily recommended amount of selenium, 30% zinc, and 25% phosphorous. A person will also get a good amount of hemi-iron from ostrich also. The boar is the pig’s wilder cousin. In states like Texas, where they are overrun with boar eating boar meat is pretty common. While some people think boar is just a pig not raised on a farm, it actually is quite a bit different. Boar meat differs from pig in everything from nutritional value to taste. Even genetically the boar is becoming quite different than it’ fatter farm cousin. The first thing a person will notice is boar meat has a much sweeter taste than your standard pork. 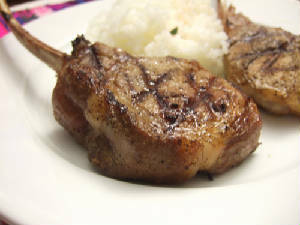 The meat is also leaner and firmer than your standard pork. Serving for serving wild boar has one third less fat than it’s domestic cousin. Wild boar is also lower in cholesterol. From a 3.5 ounce serving of wild boar expect to get 32 grams of protein, 0 grams of carbs, and only 5 grams of fat. As you can see venison ranks higher in every category and also has a higher vitamin and mineral content than steak. This is a meat that I actually fell in love with living in Florida. Like the saying goes “taste like chicken….” Alligator meat would be a great meat if you looking to add some quality calories to your diet. Alligator meat is a very concentrated source of protein so even though it does not have a lot of fat it is packed with calories. How concentrated is it? A 3.5 ounce serving of alligator meat will give you a whopping 47 grams of protein. A 3.5 ounce piece of alligator will supply you with 245 calories compared to 167 calories from the same size of chicken breast. Here is the kicker though alligator only has 4 grams of fat which is very comparable to the 3.5 grams of fat in the same size piece of chicken. Alligator also has no saturated fat or cholesterol, that actually is better than chicken. Alligator meat is not only tasty but quite recipe friendly. 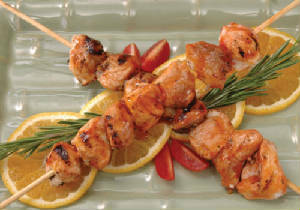 You can use alligator meat in any recipe that requires veal, chicken, and even some types of seafood. Eating healthy does not have to be a repetitive task. While improving your nutrition requires a good amount of protein, it does not have to be the same foods over and over again. Adding game meats can be healthy and tasty alternatives to protein foods like egg whites and chicken breast. 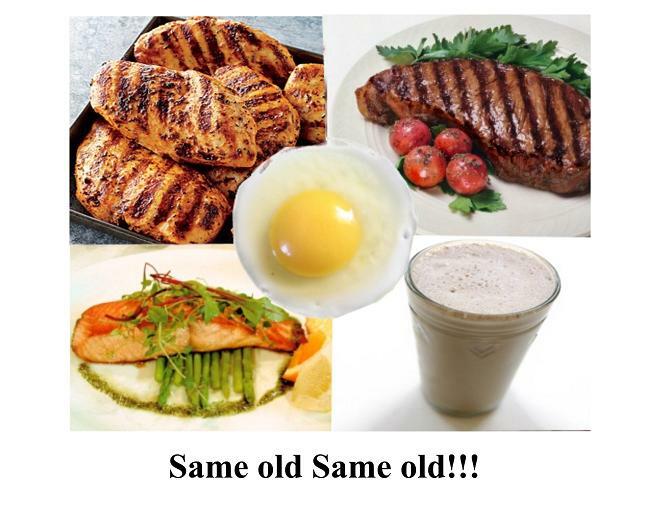 So the next time your bored of your same old protein sources try getting a little “game” with your diet.